Prior to starting Northstar Legal Services, LLC, Tom served as in-house, General Counsel for a Lancaster County based, regional home builder. In this capacity, Tom counseled the executive team, as well as the company’s production and administrative units, on a broad spectrum of matters ranging from agreements of sale, contract disputes, construction defects, building lot procurement, easements, Better Business Bureau complaints, etc. Tom was also instrumental in commercial lease negotiations and drafting, residential lease disputes, copyright infringement actions, and supported various administrative functions including marketing and sales, accounting, and human resources. He sought to resolve disputes in a cost-effective, timely manner while minimizing overall risk and protecting the company’s brand and image in the communities in which it operated. Prior to serving as General Counsel, Tom was an Associate Attorney in a private law firm located in Camp Hill, PA where he assisted both individual and business clients with real estate transactions, landlord/tenant disputes, and business entity formation. He also handled a variety of financial-based matters that included estate planning and administration, taxation, and bankruptcy debtor representation (Chapters 7, 11, and 13). Tom developed his interest in real estate prior to transitioning careers to the legal profession in 2008. He was actively involved in market research, master planning, and due diligence for several golf course community projects; however, the challenging real estate market that ensued in the late 2000’s prevented these projects from moving forward to completion. Tom also served as a consultant to a private real estate developer and a residential home builder in Adams County, PA.
Graduating from Penn State in 1988, Tom began his professional life in corporate Information Technology (IT). During his 15 years of IT work, Tom served primarily in management roles in computer application development for a health insurance company and for an electronical component manufacturer. He also earned his MBA degree while working in IT. Tom lives with his family near Hershey and Elizabethtown, PA. He is an avid weight lifter and has been dedicated to fitness throughout his life. Golf is another passion of Tom’s having played the game since very early in his life. His family has enjoyed tailgating at and attending Penn State football games for over 40 years. 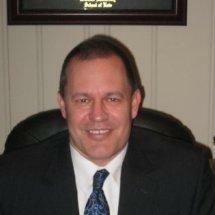 North Star Legal Services, LLC, provides experienced legal services from Elizabethtown, Pennsylvania.